Omaha poker is one of the most played poker games in the world. It has attracted a lot of attention because it is easy to play, and it has action and strategy. It is easy to play because of its close similarity to Texas poker. The rules of Texas poker and those of Omaha poker are very similar that is why new players find it very easy to play, and the old ones find it very interesting. In Omaha poker, the player gets four cards, unlike the two in Texas poker. The player is expected to use two of the cards to come up with the best hand. The players should not be less than two or more than ten. 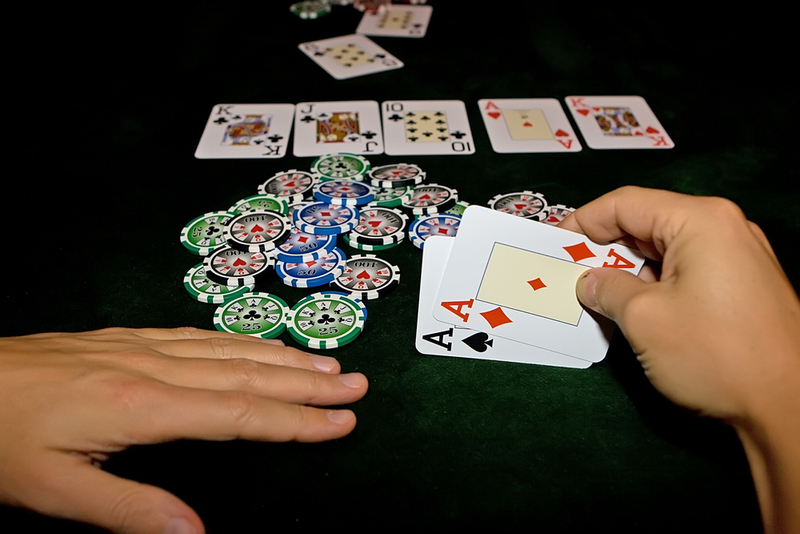 The winnings are in the form of pots, and a player wins a pot if he or she is the only player left in the pot when the other players fold their hands. The player is also expected to have the winning hand at the showdown. At the playing table, when all the players have a stack of chips, you should draw the highest card for a dealer. The game is started by the player with the card that is ranked highest, and he or she starts as the dealer of the match. This game is determined when the players place one card face up. However, sometimes two players can both have a card ranked high, they can be given a second card, or the suits of the cards are used to know the winner. The dealer shuffles the cards and the two players seated on the left of the dealer are expected to put out the blinds. The one next to the dealer puts out the small blind and the other one the big screen. The dealer then starts dealing the cards from the player with the small blind, moving clockwise. All the players are given four cards face down. entering the final round. The players come to a showdown, and the player with the best hand wins. Sometimes this game can be challenging to master, but below are tips to help players do well at Omaha poker. • Focus on the plan of the game and learn to run it. • Do not run for the big games you might go broke. • Make sure that you always play the odds. • Always play cool and be emotionally and mentally stable. • In Texas poker, the game is played with two cards, but in Omaha poker, it is played with four cards. • Exactly two hole cards are used in Omaha poker to make a hand, but in Texas poker one or none of the cards can be utilized. • The betting structure for Texas Poker has no limit, but in Omaha is the pot. Most poker players in the world today are moving from Texas poker in Omaha poker because Omaha is more complicated hence it gives the player’s ability to make their skills better. The profits in Omaha are also higher so the players can make a lot of money from it.